Sharp-eyed visitors to Walt Disney World® Resort this week may have spotted something new up in the sky while Disney Skyliner began its initial testing. Scheduled to open this fall, Disney Skyliner will be a new, state-of-the-art gondola system that will conveniently connect Disney’s Hollywood Studios® and Epcot® to four resort hotels – Disney’s Art of Animation Resort, Disney’s Pop Century Resort, Disney’s Caribbean Beach Resort and the proposed Disney’s Riviera Resort, which is now accepting Guest reservations for stays beginning Dec. 16, 2019. The official Resort opening date will be announced at a later time. You can get sneak peek at what a few of these special gondolas will look like in the photo above. 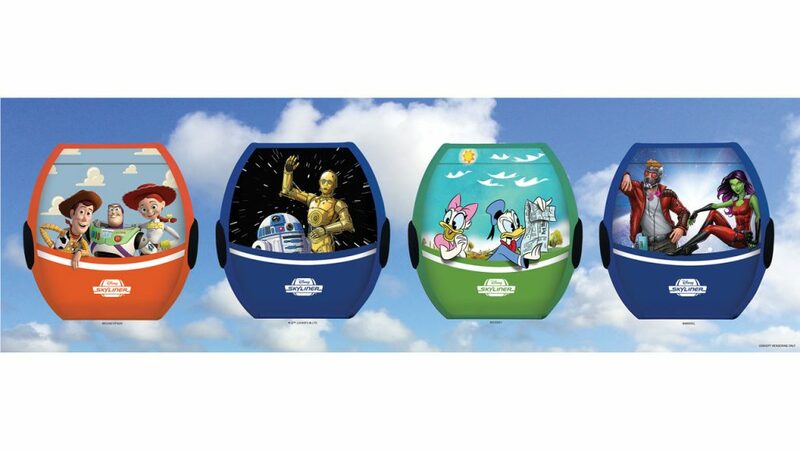 These gorgeous gondolas will be gliding across Walt Disney World Resort before we know it. Stay tuned as we reveal more exciting details about Disney Skyliner throughout the year!